Gas pipelines constitute an important, yet unexplored, aspect of strategic geography. As one of the fastest growing economies in the world, India’s need for energy is paramount. Though surrounded by gas-rich regions – Myanmar and Bangladesh to the east, the Gulf to the west and Central Asia to the north – India does not have a single gas pipeline coming in, going out or traversing through its territory to date. 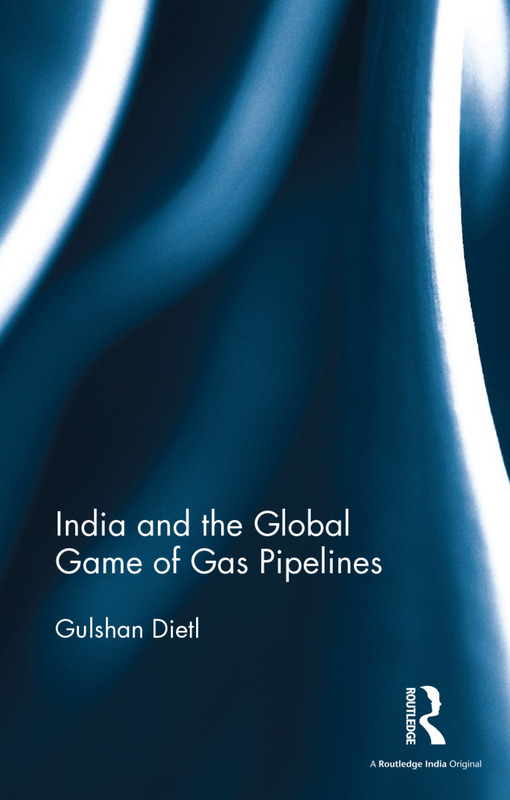 This book highlights the global competition over gas pipelines and its implications for India’s energy security in a comprehensive manner. The author leads us through a labyrinthine world comprising numerous actors – the states, energy firms, scientists, engineers, investors and bankers – engaged in competition over these pipelines leading to a continuous game of checkmating rivals, instigating conflicts, causing damage and destruction and threatening military action to persuade or dissuade states from joining specific projects. Pulsating, rigorous, grounded in hard facts and solid research, this book will be indispensable for scholars and researchers of international relations, strategic affairs, defence studies and politics, as well as think tanks, government agencies and the informed general reader. Luke Pate, Danish Institute for International Studies and Oxford Institute for Energy Studies. 4 Russia: an energy superpower? Gulshan Dietl is former Professor, School of International Studies, Jawaharlal Nehru University, New Delhi, where she also served as the Director of the Gulf Studies Programme and the Chairperson of the Centre for West Asian and African Studies. She was Fulbright Scholar-in-Residence at the Mount Saint Mary College, Newburgh, New York (1993–1994), Guest Research Fellow at the Copenhagen Peace Research Institute (1998–1999), Visiting Professor at the University of Kashmir (2004), Associate Director of Research at the Fondation de la Maison des Sciences de l’Homme, Paris (2008), Visiting Professor at the University of Southern Denmark (2010), Visiting Professor at Jamia Millia Islamia, New Delhi (2012–2013) and ICSSR Senior Fellow at the Institute of Defence Studies and Analyses (2013–2015).